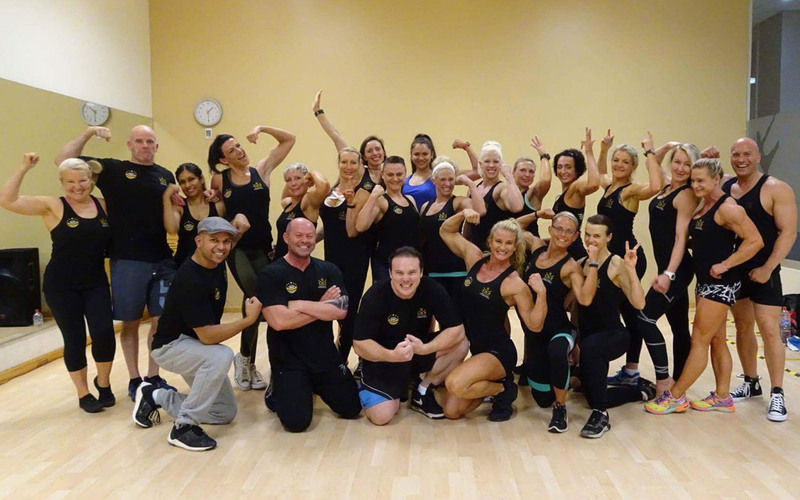 ProComp International loves coaching and preparing model and muscle athletes for the international contest stage. 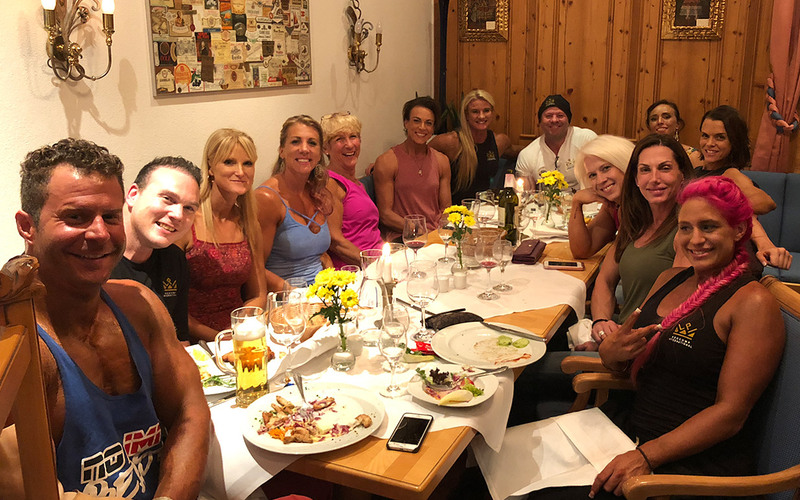 We specialise in preparing athletes and teams for figure, bodybuilding, sports model, bikini and Bermuda board shorts divisions for WFF International Pro-am competitions internationally throughout the world. We tour with two teams internationally every year to exotic locations. One is in season A in June and the other season B in October to November. The ProComp comp tour is one of the most exciting, rewarding, life-changing experiences that an athlete will ever experience. The tour offers the opportunity to travel with the ProComp coaches, traveling in safety as a part of a competition team and the buzz, excitement and support of a larger team the entire tour. It offers the world of competing from a completely different perspective. The Pro-Comp International teams are comprised of athletes from all over the world. The support and inspiration that you will get from both your team members and your coaches will be second to none. We travel twice yearly to exotic locations. 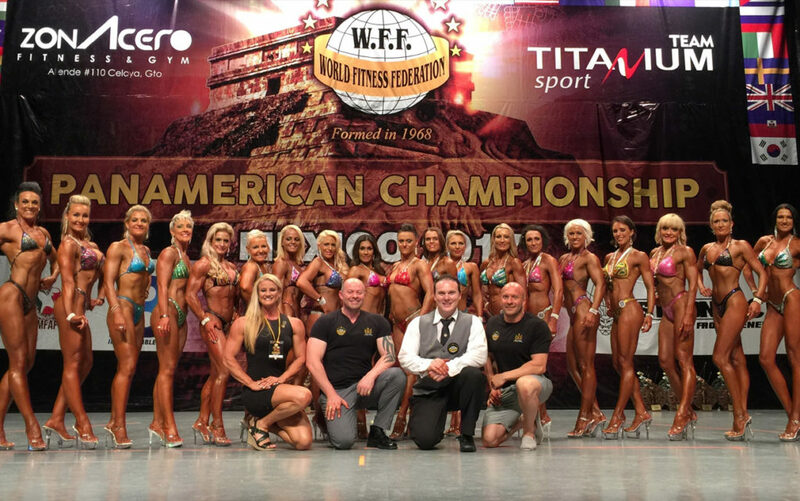 The international tours are suitable for ALL levels of athletes from beginners and first timers all of the way through to amateur athletes looking to become professionals and WFF professional athletes. We love to coach beginners to PRO’s to travel with us as part of our Comp Team. Get in touch now to find out more and where are next tour will be. Sydney: AUSTRALIA Ms Galaxy Pro-am 8th April. Brisbane: AUSTRALIA Commonwealth Classic 22nd Pro-am April. 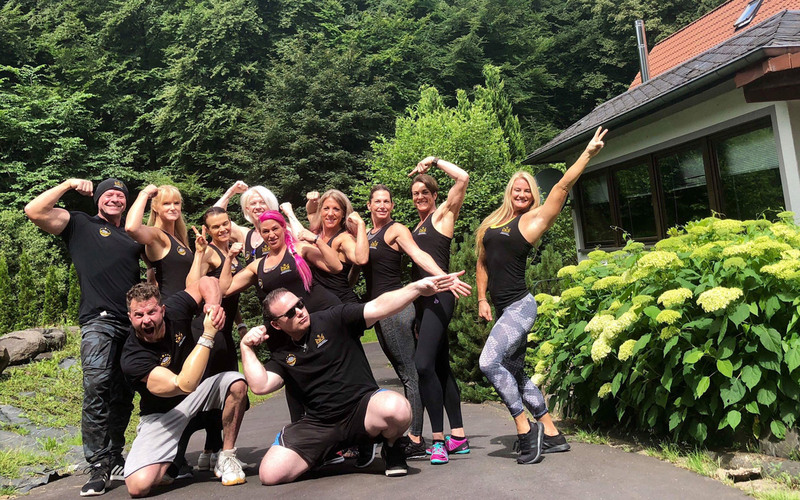 GERMANY: WFF European Championships Pro-am June 23. SINGAPORE WFF Universe Pro-Am July. NEW ZEALAND. WFF Pan Pacific Pro-am August. Sydney AUSTRALIA: Ms Galaxy Pro-am. Gold Coast AUSTRALIA. 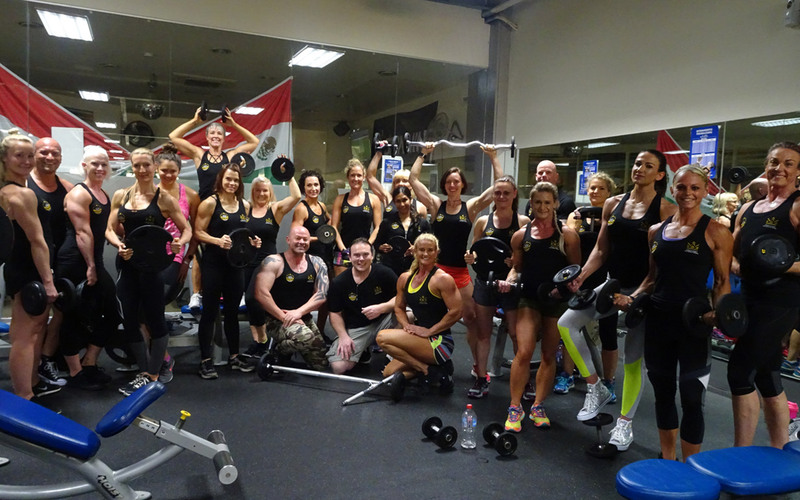 Nabba/WFF Southern Hemispheres. Samara RUSSIA. Nabba World Championships. Auckland NEW ZEALAND: WFF Int. Pan Pacific Pro-am. Celaya MEXICO: Pan American Cup. Melbourne AUSTRALIA. 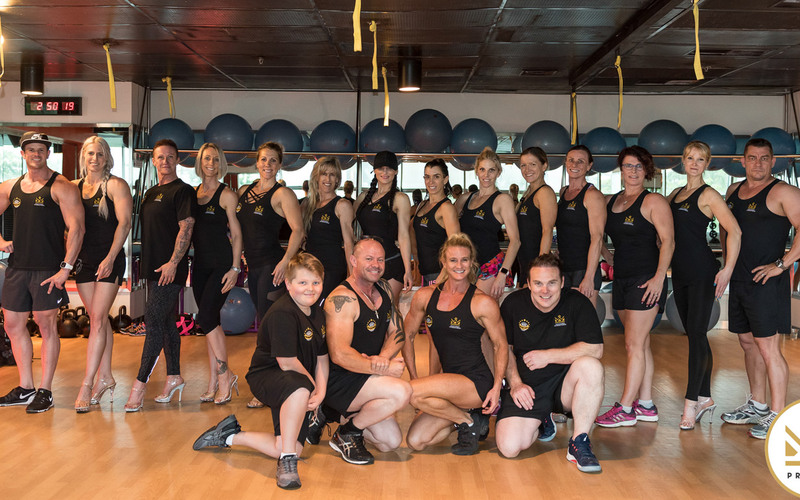 Nabba/WFF Mr and Miss Australia Pro-am. Birmingham ENGLAND. Nabba Universe Championships. SINGAPORE. WFF International Asia Pacific Championships Pro-am. What divisions and Federations does ProComp coach athletes for? We specialize in figure, men’s bodybuilding, sports models, bikini and Bermuda board shorts divisions for WFF International competitions at WFF International Pro-am events. We coach first timers, beginners all the way through to both seasoned and professional athletes. ProComp is strategically affiliated with WFF International. This alignment means that we can prepare athletes to the exact specifications of the federation with conditioning, balance, presentation and posing. This alliance also provides ProComp direct access for feedback from the judge’s table for competitors for future improvements. 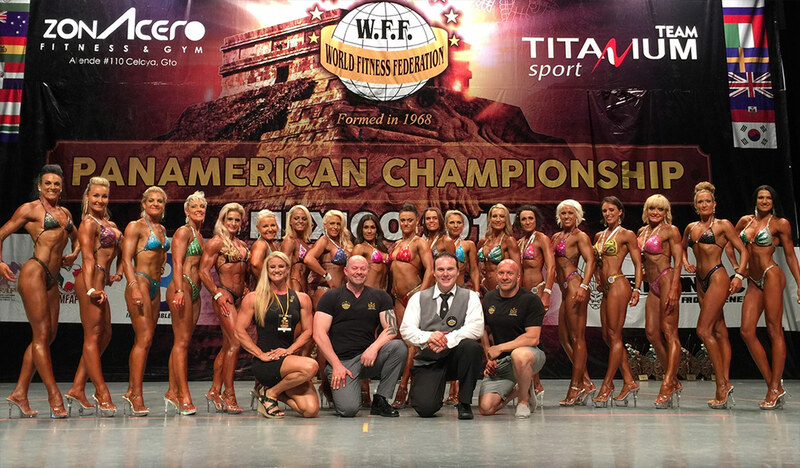 All coaches are accredited international judges and head judges with WFF International in their own right. 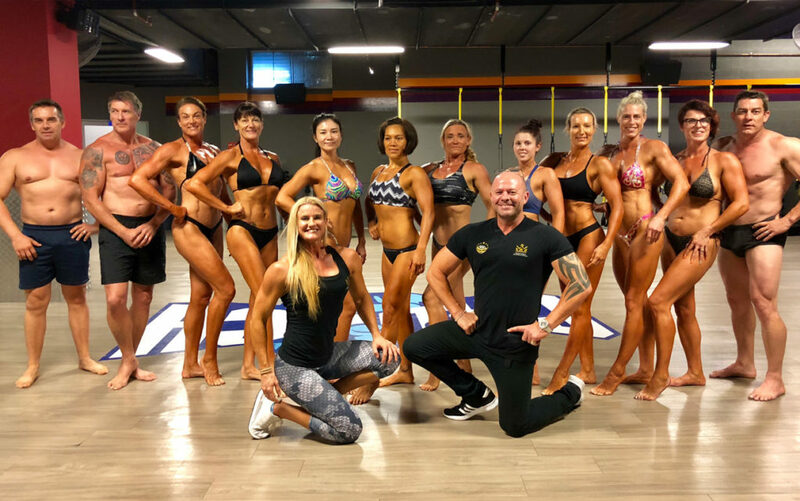 Cheryl holds duel professional status with WFF International and NABBA trained figure and Blair has been a Mr Australia overall with may international competitions and successes to his name. Blair reports directly to the WFF International President in the position of International Pro Director of WFF International. What services can ProComp provide as part of coaching and comp tour packages? 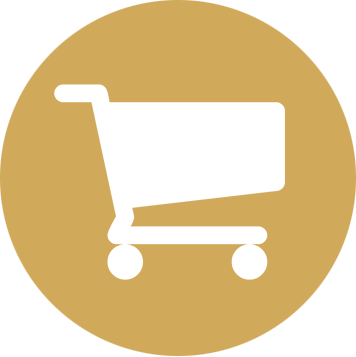 Weekly online reviews and updates. 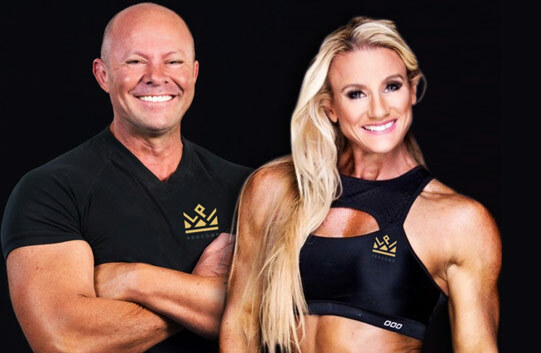 Initial video link or face-to- face consultation with both ProComp coaches, Cheryl and Blair. Scheduled or staggered video link reviews with either coach. Weekly nutrition plans and adjustments. Peak week consultation – includes water loading, depletion, carb/fat load protocols and comp day plans. Specific travel plans upon request for travel to the country selected. We get your itinerary and calculate your journey time. We then schedule and construct your meal plan during transit. Post comp consult and feedback – areas for improvements and goals. All transfers, tanning, posing workshops, accommodation, registration, travel nutrition, organization and management of the tours. An exclusive team Facebook group that is moderated by the coaches. This group provides all team information, updates, education and it offers a great way to get to know your teammates. We prepare our athletes under a ProComp Pro-metabolic nutritional framework aimed at increasing thyroid gland functioning. This approach increases metabolic rate, balances hormones and expedites fat burning. Our nutritional framework is based upon the work of a leading American endocrinologist and hormone researcher, Dr. Raymond Peat. It is designed to reduce cortisol, keep estrogen balanced, ensure active thyroid functioning, stabilize insulin levels, reduce inflammation and ensure a fast metabolism…all with spectacular results!!! We have found that the healthier our athletes are, the easier it is to achieve competition success. What type of food does ProComp prep their athletes with? ProComp conditions athletes eating natural sugars from tropical fruit, orange juice and honey, saturated fats and coconut oil, starches from potatoes, sour dough and rice, salt, dairy from yoghurt, cottage cheese, hard cheeses and good quality protein from eggs, seafood, gelatin and grass fed beef. Depending on the starting conditioning of the athlete, ProComp normally allows 18-22 weeks to get stage ready. We prefer two stages with contest prep. The first focuses on the health of an athlete’s metabolism prior to the cutting phase and increasing calories. Basically setting the scene for an effortless, stress free cut. We start working with some athletes 1 year out. Using our ProMetabolic framework, the longer we have to prepare each athlete, the faster and more efficient metabolism becomes. This leads to easier fat loss and better quality muscle development. Our program actively provides input, assessment, reviews and consultations with our two ProComp coaches. This strategy ensures two levels of support throughout the whole journey. This means twice the commitment, twice the knowledge and twice the focus. Does the ProComp team accept applications from international athletes? Yes. ProComp are currently coaching athletes coaching in New Zealand, USA, Canada, UK, South Africa and Thailand. We follow an identical process with online reviews and video link consultations. Posing is also coached via video link online. What is the monitoring process? Your coaches willreview and updateyour results and plans online on a weekly basis. Athletes can also schedules regular one on one consultations via video link or face to face at nominated intervals. We utilize a reporting and submission strategy where we measure progress and review your photos with each review. We rely on regular progress sheets and photos prior to each review. Our review is only as good as the information provided. How many coaches travel with team? A minimum of 2 ProComp coaches will travel with the official ProComp international touring teams with team numbers of 10 athletes plus. What does the tour schedule look like? The program commences a few days prior the show and the team stays in accommodation together. The day starts with team meetings where we educate you about the peak week processes. The team’s day consist of resistance weight training and cardio sessions, structured group posing and one on one group posing sessions. We all travel together as a team to the gym and there is even some opportunity to do some sightseeing. Every athlete is monitored daily during the lead up to the show and will take you through important training principles for peak week and then we train. The ProComp coaches are on the gym floor to ensure that your training and techniques are on point. Are there any special posing sessions on tour? We do intensive group posing sessions in the gym after training and do one on one posing sessions session with your coaches at the team accommodation each day. What happens on contest day? Contest day can be both exciting and daunting. We will organize registration, tans, hair, makeup and usually travel with a professional front stage photographer. We go to the show as a team together and we leave the show as a team together. We all stay to support and cheer each other on. All 3 ProComp coaches are accredited WFF International judges. We ensure that we have one coach on the judging table, whilst the other is backstage helping you with pump up. This will enable us to give you feedback in your post competition consultation directly from the judging table. We celebrate everyone’s achievements and the team and coaching staff share a relaxed post contest meal together. Partners, relatives and friends are all welcome to join in the celebrations. 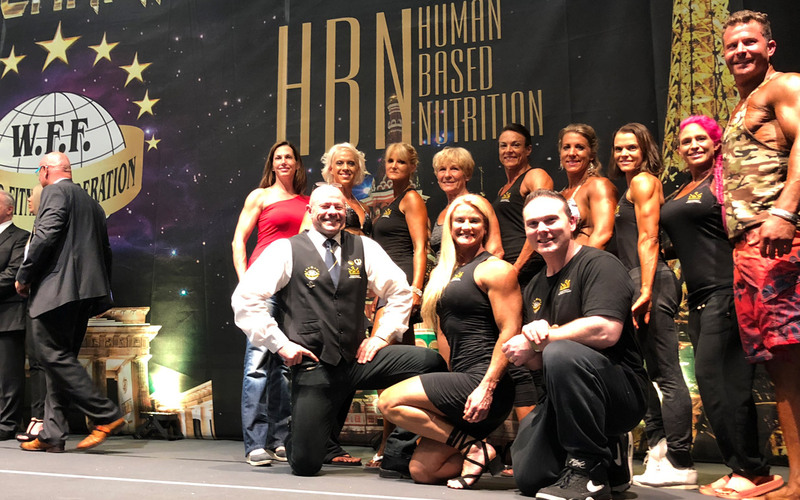 Do you offer post competition consultations and reverse diet plans? 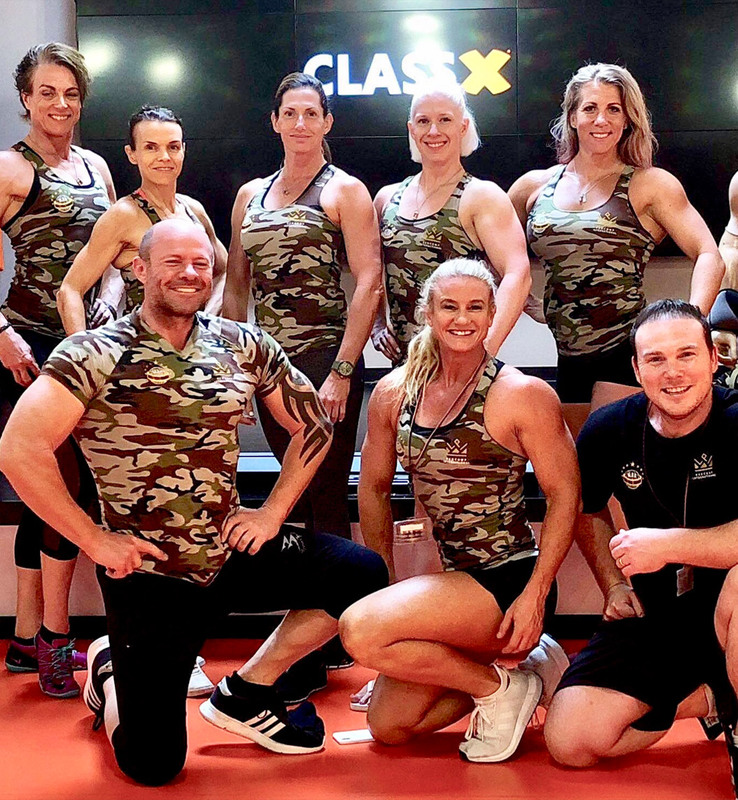 We ask that all team members stay after the show for 24-48hrs to perform the post competition reviews and reverse diet plans. 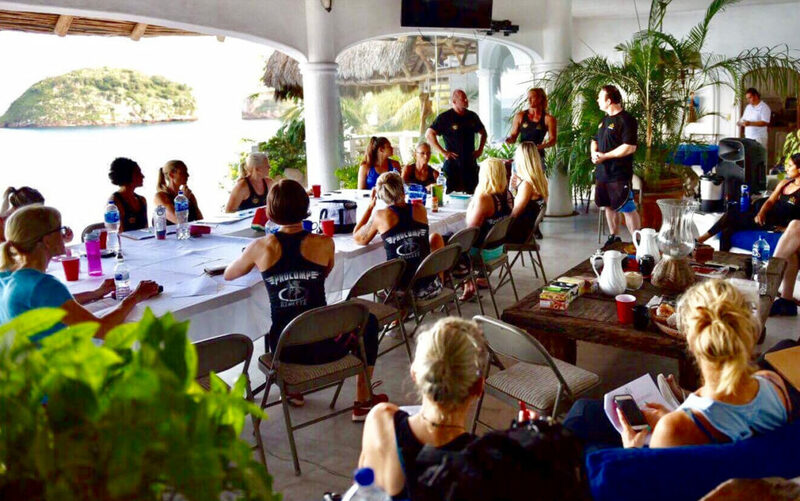 We discuss your performance, results, feedback from the judge’s table, improvements and future goals and we create your reverse diet. Are additional coaching sessions available? Yes. We offer additional coaching reviews, posing classes and one on one check in sessions if requested. How much does ProComp Competition Tour cost? The Comp tour is costed on a number of variables depending on the location for the WFF Pro-am that is chosen. We arrange a weekly direct debit for coaching and other management/administration fees (transfers etc.). Both of these charges are costed and confirmed when the tour prospectus has been released. Comp tours packages are normally a 16-week or 20-week coaching program. Our coaching packages range from the more economical online coaching through to online plus face-to-face coaching options. Our coaching services and costs are listed below. In addition to these will be a management / administration fee to cover transfers, gym sessions, your coaches costs and the other costs associated with the organization of a tour. This can be paid DD weekly or in lump sum payments. This fee is variable for each show depending upon what country it is in etc. to find out more about Comp Coaching or how Pro-Metabolic Nutrition can help you create a great looking, healthy body.